Safa vice-president Ria Ledwaba, who has been put in charge of women’s football in the country, is proud of what Banyana Banyana have achieved, but says there is still much work to be done. “We are nowhere near where we would like to see women’s football, but we are happy with the work we have done so far,” she said from Accra in Ghana ahead of last night’s Afcon final between South Africa and Nigeria. Banyana beat Nigeria 1-0 in their opening Group A match, followed it with a 7-1 walloping of Equatorial Guinea and then wrapped up their round-robin stage with a 1-1 draw against southern African neighbours Zambia to top the group with seven points. Banyana then overcame Mali 2-0 in the semifinal to reach last night’s final. That victory over Mali sealed their place in next year’s Women’s World Cup in France. “I am very happy for our players; that they will be going to the World Cup for the first time,” said Ledwaba. “Can you imagine what this means for a player such as [Banyana captain] Janine van Wyk, who is close to retirement? 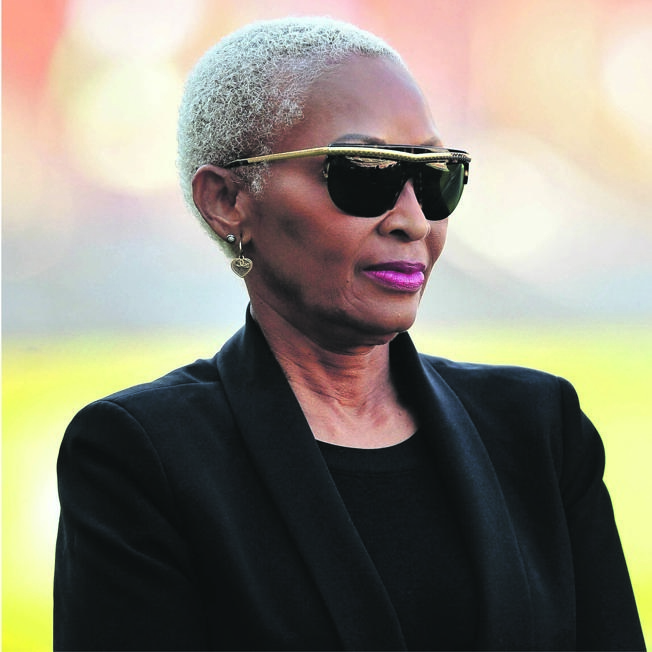 Ledwaba is one of only three South African women to have previously run a professional male team, Ria Stars. The other two are Lamontville Golden Arrows boss Mato Madlala, the acting PSL chief executive; and Anastasia Tsichlas, Mamelodi Sundowns’ erstwhile managing director. Ledwaba also poured praise on coach Desiree Ellis for her sterling job at Banyana. The vice-president said that, as much as Safa still had not managed to raise more sponsorship for the national women’s league, which is scheduled to start in April, plans were still on course. Ledwaba said that, during her countrywide roadshow, she realised just how many challenges still faced women’s football in the country. “From administration to playing facilities, it is still a huge challenge,” she said. Ledwaba also revealed that, out of the 16 PSL clubs, only Mamelodi Sundowns and Bloemfontein Celtic have women’s teams. The two, plus the nine provincial Sasol League winners, will form the women’s national league.